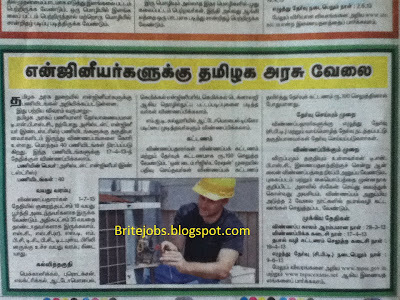 IIt, diploma students also can apply for this job. 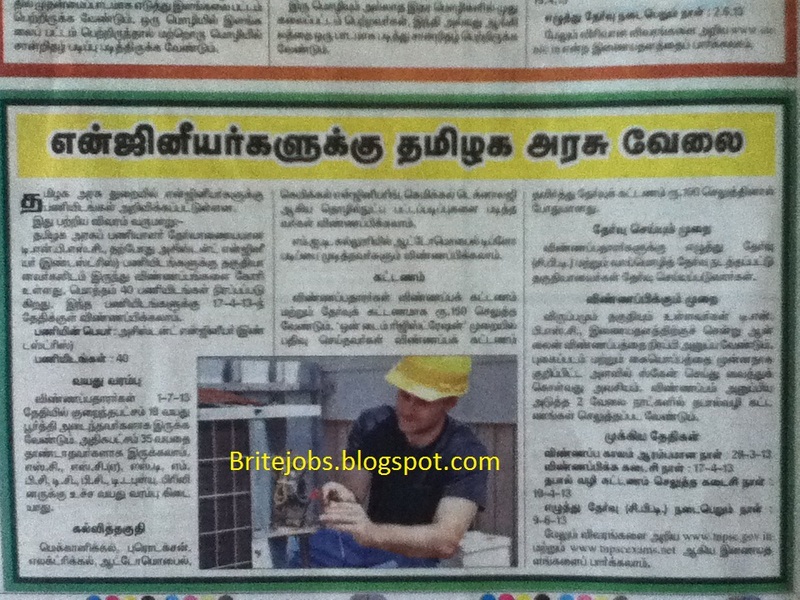 Tamil Nadu government recruitment for engineers through TNPSC for the job of assistant engineers(industries) those who are eligible for this post can apply.Total number of vacancy is 40.And the application has to be submitted on or before 17-04-2013. The candidate who are eligible and intersected visit the official website www.tnpsc.gov.in click the notification and then apply online. For online application you should have a scanned passport size photo and signature. 1. "The Indian Navy recruiting Engineers"
2. "Indian Army Recuriting Havildar Education job"
3. "Oil and Natural Gas Corporation Limited 2013 recruiting Diploma and IIT"